Cat Stain and Odor Remover has a unique formula that contains Pro-Bacteria and enzymes (specific to pet messes) that breaks down organic residue, permanently eliminate stains and odors, and discourages cats from repeat marking the area. 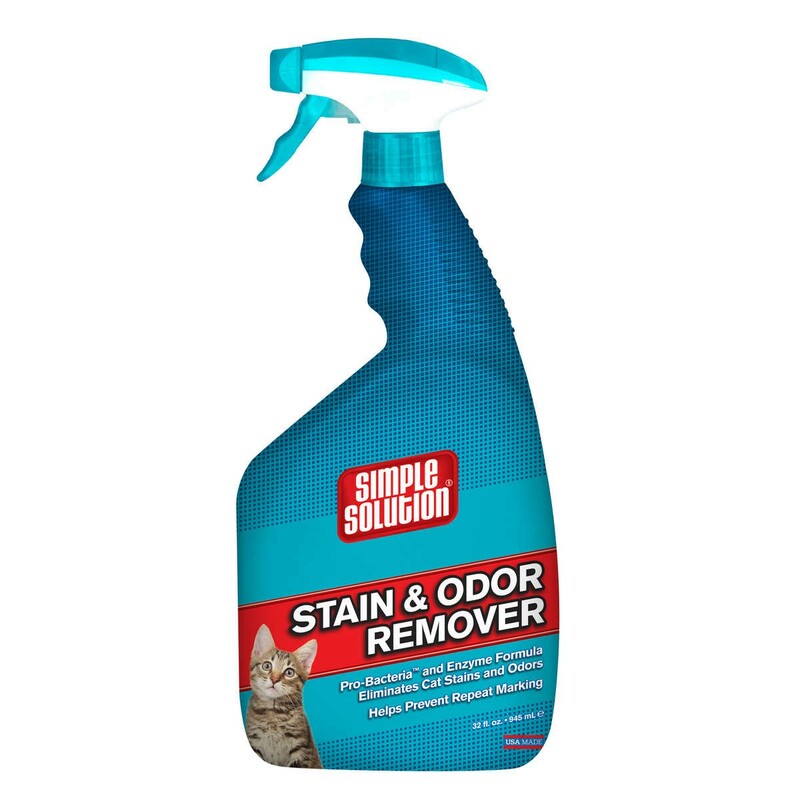 Safe to use carpet, upholstery, or other water-safe surfaces in your home to remove urine, feces, and vomit. Safe to use around children and pets when used as directed.